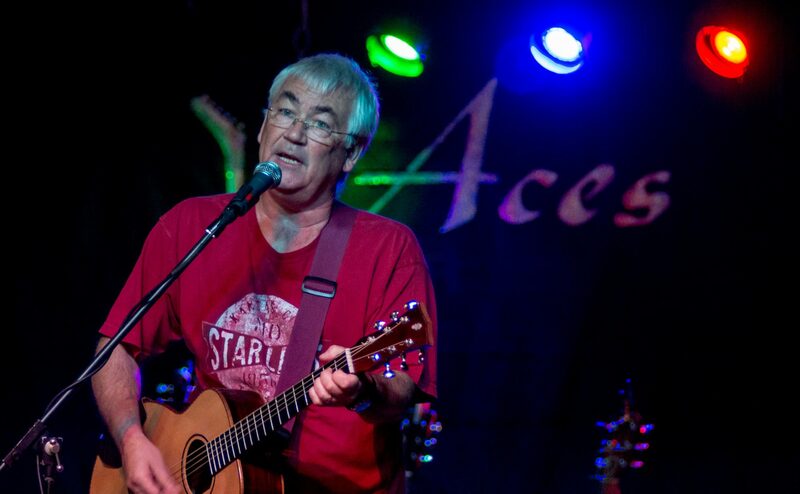 Alan Maskell is an active Singer Songwriter originally from Bath in England who currently resides in Venice Florida. Alan’s Songs can be highly descriptive and cover many subjects , both of a personal nature and also as expressing his views on significant issues, both political and humanitarian. Alan Maskell grew up in Bath, England. After an uneventful childhood he discovered music , firstly in the form of the French Horn, followed by the trumpet, before settling on the guitar, much to the relief of his family and neighbours. After playing in a few local youth club bands he left Bath for University, where he started song writing in earnest, and had some local success with the band Stolen Goods. Post University saw the release of the single “Seventeen” and the formation of the band who became Ulterior Motives , where Alan was one of the main songwriters, contributing 60% of the bands material. The band played together ,mainly in Oxfordshire, for 30 years and released two CD’s Rooks and Simple Schemes which are still available from their Bandcamp site. In 2010 Alan started writing again , and pursing a more acoustic solo path , gigging regularily around Bath and Bristol, and released 3 solo CD’s Ghost, The Lake and the Winter ep, before heading off for the sunshine of Florida. In Spring 2017 he released the “Live at Common Grounds” mini album recorded with Ted Fordney at Common Grounds Meeting Room in Northport Florida, as a stopgap between albums. He has continued writing and performing and has just completed , new studio recordings , recorded partly in Florida , and partly in Mexico.. The album “Harvey” has now been mastered and will be released in Mid May 2018. The album is a much more electric album with a Rock/Pop feel, compared to his previous solo albums , harking back to the Ulterior Motives days.